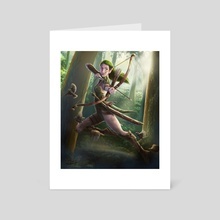 Female forest elf hunts in the morning light. 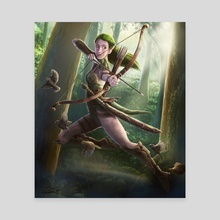 Jon Hrubesch is a freelance artist who lives in Wisconsin. 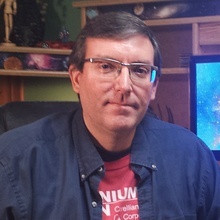 When he is not working as a graphic artist and newscast director for a local NBC affiliate, he creates images of science fiction and fantasy.